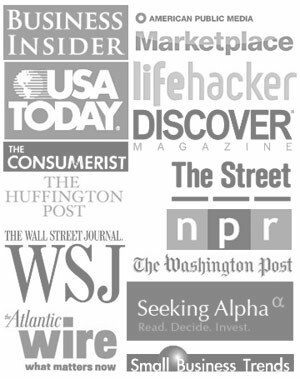 This is a guest post from my friend Kostas at FinancialBlogZone. It’s a great look at when to discuss personal finances with your partner. I doubt I’ll ever combine finances with anyone again. But if you are in a relationship, even if you don’t combine finances, some discussion is probably warranted at some point. 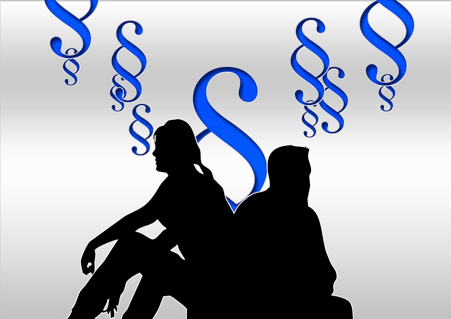 When should you discuss personal finances in a relationship? The short answer? Right now! Well, if “right now” is the first date in your case, you can wait a little longer. But for anyone in a committed relationship, personal finances are something you should talk about early and often. Finances are one of the biggest causes of divorce. And it’s not the money itself causing the problem. It’s the refusal to communicate openly and honestly about it. If the idea of bringing up the tough subject of money with your partner sends shivers down your spine, don’t worry. This article will help you with some strategies for how and when to break the financial ice. In fact, try to do it before you get engaged. This is a big topic that could potentially uncover some deal breakers. For example, if your top priority is retiring early but your partner’s top priority is taking out a huge home loan to buy a mansion, you may have a conflict of interest. Now, don’t let that scare you. Even if you have conflicting goals, talking openly and honestly before you have tangled your financial futures together can help you resolve these conflicts. You can discuss ways to achieve your individual goals as well as set new goals together. That is exactly why timing is so important. If you wait to discuss personal finances until after it’s too late—that is, after you have joined accounts and become a single financial unit—it becomes even more difficult to have that conversation. Because now you have the added pressure that you have no easy out. Talking about money before marriage is just as important as talking about any other important topic like children and career goals. Personal finances can’t be a one-time discussion. This is something you need to talk about on a regular basis. For as long as you are in a serious relationship or marriage. Your financial situation will evolve over time and you need to be on the same page. From managing debt to planning for retirement, you need to tackle every financial goal as a team. Plan together, hold each other accountable, and enjoy the success of achieving your goals together. A good way to make this a habit is to schedule a monthly “date night” where you go out for dinner and discuss personal finances. Talk about the goals you have, the steps you need to take to get there, and work on your plan together. Money can be a sensitive topic—especially if there are some things you don’t exactly see eye to eye on. But this is a serious topic that has consequences for both of you. So neither of you can afford to dig your heels in and be stubborn. Discussing finances is not about one person winning over the other. It’s about openly expressing your goals and needs and finding a way to coordinate them with the goals and needs of your partner. You’re discussing something and emotions are running high. If you feel you won’t be able to keep discussing without this turning into a screaming match, take a break. Continue the discussion that evening or even the next day. The important thing is that you stop before the yelling starts and that you agree to a specific time to start the talk again. Otherwise, you risk putting it off indefinitely. Use that break constructively. Don’t just fume and brood. Both of you can take the time to process it all without the pressure of needing to respond or make a decision on the spot. Here’s an exercise that both of you can do before you start making any decisions or plans. Each of you takes a pen and paper and write down a list of all the things you would be willing to change or sacrifice in order to achieve financial goals. This refers to spending habits. So, for example, you might list that you are willing to give up cable TV or cancel your gym membership and get a home gym setup instead. Do this quietly on your own. Don’t look at your partner’s list. After you have both written your list, you can compare them and use them while planning your budget. This is a good way to discuss personal finances from a place where you have both thought through the issues and come ready to give something up. Financial planning is not just about the dirty business of sacrificing and cutting costs. It’s actually a way of accomplishing your goals. Talking finances with your partner is just as much about dreaming up your future together. So remember to use this time to dream. And don’t hold back. If you’ve always dreamed of traveling the world when you retire, talk about it. Dream up your perfect life together and then make a budget and plan to help you get there. When you discuss personal finances with your partner it helps ensure that you are working as a team toward a set of goals that you both share. And it is one of the most rewarding experiences of all to know that you’re not alone in the effort to reach your goals. There will be tough moments and times that you disagree (especially at the beginning when you first start talking money) but working through those moments as a team is far better than distancing yourselves from each other, avoiding the topic, and keeping secrets. Talking about money with your partner can be a difficult thing to start. We tend to build up all this tension around it. But the good news is that once you start to discuss personal finances with your partner, it gets easier and easier until it becomes second nature. And once that happens, you can rest assured that financial troubles or secrets will not be a burden on your relationship or something that tears you apart. Take the first step and start talking about personal finances with your romantic partner today. Kostas Chiotis is a blogger focused on finance and the economy. You can check out his blog at FinanceBlogZone.com and follow him on Facebook and Twitter. Thanks for the great tips! Mr. FAF and I started to discuss our finance once we started discussing a proposal down the road. We have a joint account and ask each other when we want to make a big purchase (>$50 or so). Usually, we have no issue. But early on in the marriage, my uber frugality did get in the way and caused some tension. Different money philosophies can definitely get in the way! But if you talk through everything, it usually helps. I did “big pot” finances when I was married. I’m not sure I’d do it again, though. But, regardless, it’s a good idea to talk through things. Great article! I love how so many of these great tips for discussing finances are really great rules to live by for relationships in general. Open, frequent discussion is vital to any thriving relationship, as well as dreaming and goal-setting. I especially like the concept of coming to the table with a list of what you are willing to GIVE. When each partner learns to sacrifice, with finances and otherwise, the relationship blossoms! While you may not be amazed, many don’t even discuss how the move is going to be ‘financed’ less how they are going to manage finances after moving. We have got to do a better job as a society portraying REALITY and not social media pipe dreams.. Life is expensive! For every fee you know about, there is one you don’t! It’s incredible how many people think that just because you can afford rent or preapproved for a mortgage, doesn’t mean you can afford everything else that goes along with it..